The NIV Traveller's Bible, complete with zip and protective box cover. Text size: 7.25pt. 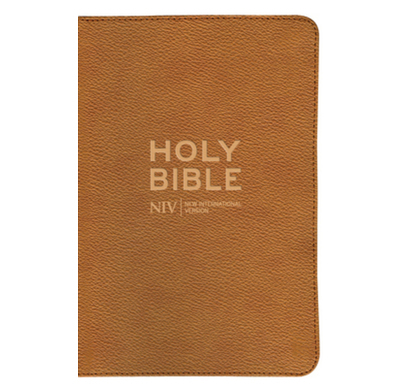 This stylish and durable, NIV Bible comes with a zip for added protection. It contains a short concordance and a ribbon marker. Text size is 7.25pt. British spelling, grammar and punctuation. Comes with protective case. This Traveller's Bible is very good: light, zip up and robust. Some useful notes at the back. No cross refs as a slim version. Bigger print than pocket size. Ruck sack proof after lots of use!